Tip 1: Federal Farm Bill Explained: The $426 billion federal farm bill Congress passed in December has some changes in it that farmers and others would benefit from knowing about. 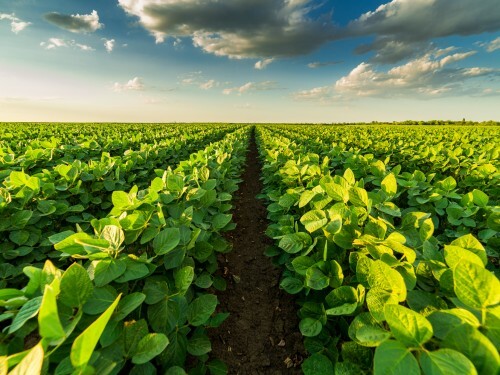 On April 11, The Ohio State University College of Food, Agricultural, and Environmental Sciences (CFAES) and partners are hosting a Farm Bill Summit in Versailles, Ohio, to address those changes and what they may mean for the state’s farmers and producers. Speakers will address government assistance paid or partially paid for in the farm bill including crop insurance; compensation for farmers who set aside a portion of their land for conservation; and payments to farmers who grow corn, soybeans, wheat, and other commodities when losses occur due to low commodities prices or low revenue. Reporters are welcome to talk to Ben Brown, brown.6888@osu.edu, 614-688-8686, for details about the event and the bill’s changes. Brown is manager of the Farm Management Program in CFAES’ Department of Agricultural, Environmental, and Development Economics (AEDE). Tip 2: Great Lakes Climate Change Report: In areas from rainfall to lake levels, fish to harmful algal blooms, shipping to agriculture, drinking water safety to public health, “Climate change is causing significant and far-reaching impacts on the Great Lakes and the Great Lakes region.” That’s according to the science-based Assessment of the Impacts of Climate Change on the Great Lakes, released March 21 by the nonprofit Environmental Law & Policy Center and Chicago Council on Global Affairs. Eighteen Midwest and Canadian researchers compiled the report, including two from CFAES: Robyn Wilson, associate professor of risk analysis and decision science in CFAES’ School of Environment and Natural Resources (SENR); and Brent Sohngen, professor of environmental and resource economics, AEDE. Media members may contact Wilson at wilson.1376@osu.edu, 614-247-6169. Read about the report and find a link to it at elpc.org/glclimatechange.